As a mere mortal, do you have trouble finding accessories that break the mold? We feel your pain. Diamonds are the pinnacle of class but in the end, there are actually quite a lot of them out there. Gems just don't compare to jewelry that literally helps boost your superpowers. We've never seen a pearl necklace stop a bullet or a birthstone ring throw an Amazon warrior off her feet. We're not asking for the world, we just want our bling to make us stronger. Well until we meet Zeus and convince him we need a cuff bracelet with tectonic powers, we have the next best thing. 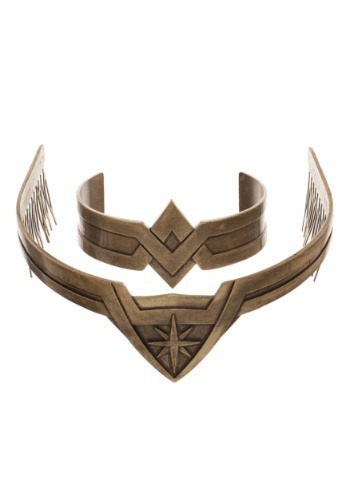 A Wonder Woman cosplay set that looks just like her ancient accessories! 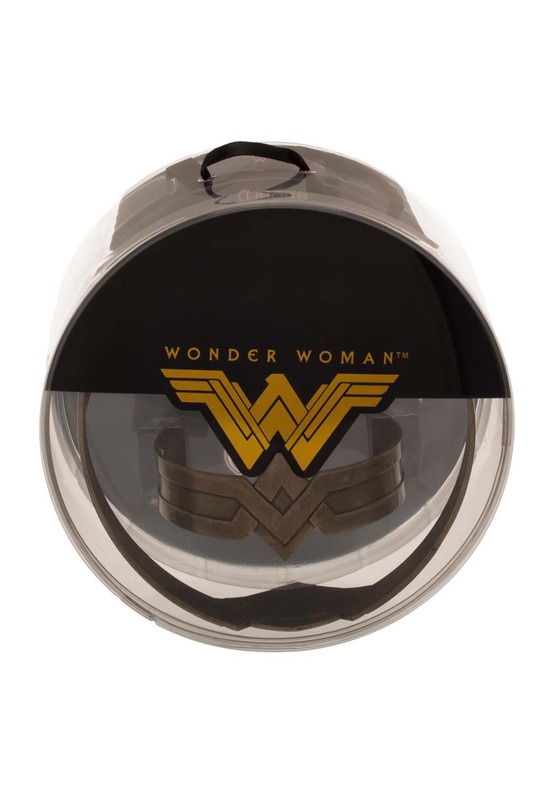 This officially licensed gold-toned bracelet and tiara set is the perfect way to top off your Wonder Woman ensemble. The cuffs simply slide onto your arms for easy transformation. 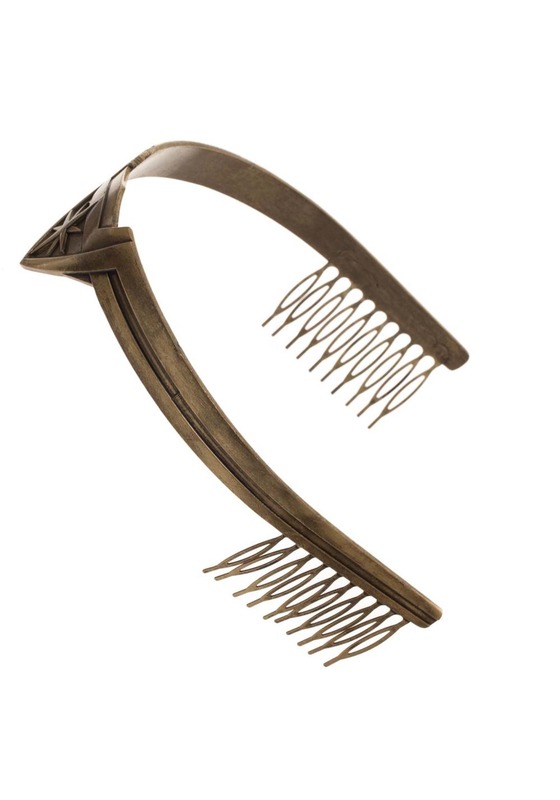 Because of the combs, the tiara is safe is your hair even if you launch yourself off a shield. 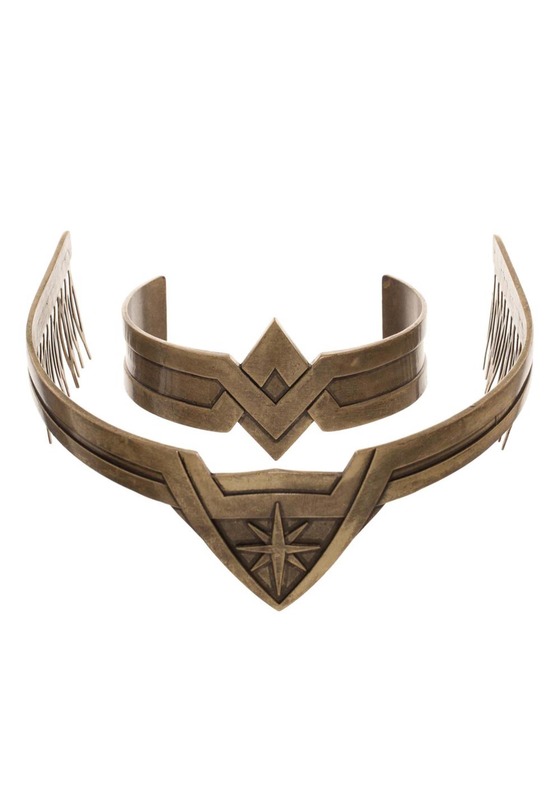 Now that you've invested in the important part of Diana Prince's ensemble, you can choose to wear whatever variation of the Wonder Woman costume suits you best. So tighten your bootstraps, there's a lot of world that needs saving out there!